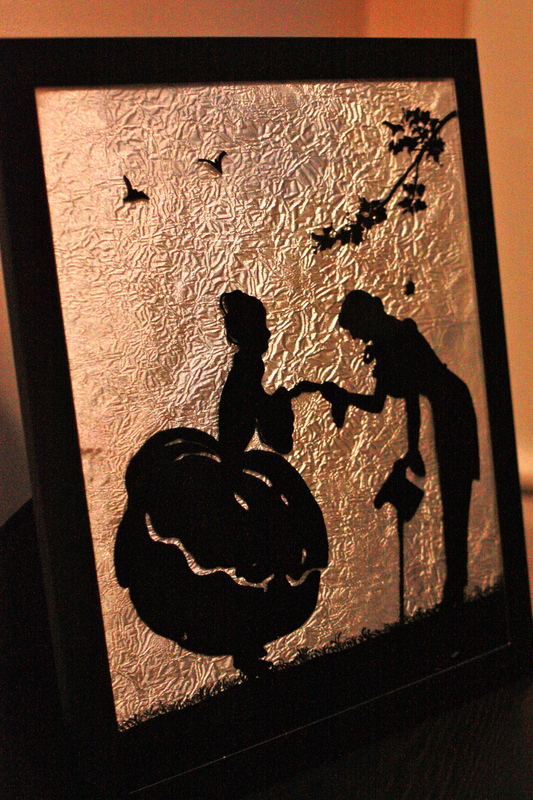 A few months back I was out poking through antique stores with my mom when I came across this old fashioned silhouette framed art. I got it for about $6 and thought it would be a cute added touch to my nightstand. 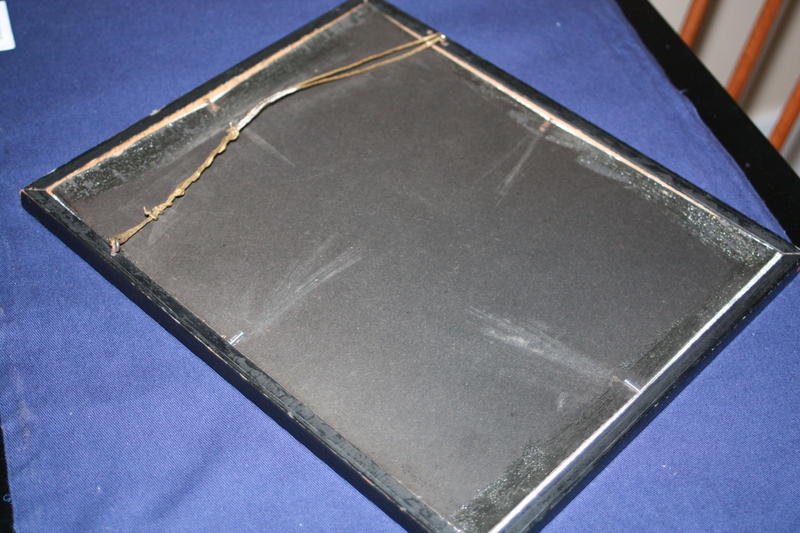 It was still in the original frame, and though it was cool, it was very worn down and had lots of sharp hardware on it. An easy fix was to just re-frame it. 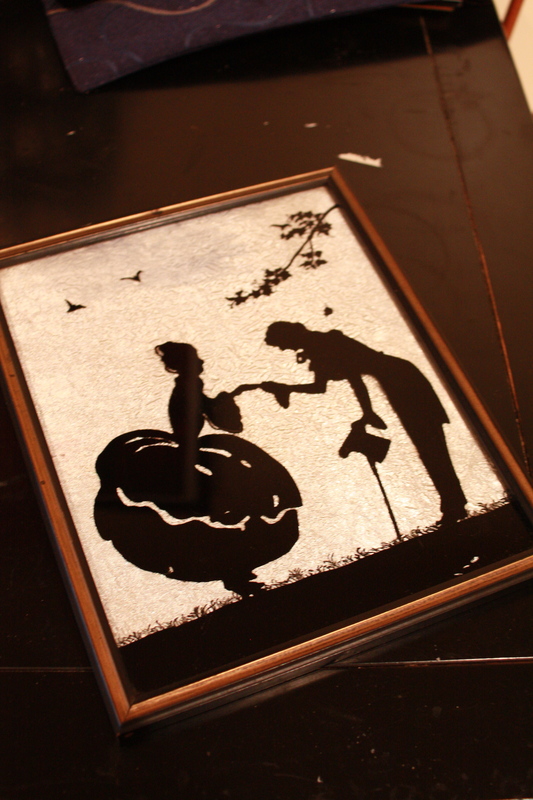 I was able to pull the backside off the frame, but then I realized that the image was actually painted directly on the glass and was backed with a silvery fabric. It was easy to frame and the glass from the original fit right into the updated frame. Not bad for some $6 art. Nice job, your choice of frame is better than the original. A tip for hanging frames art or photos-If you have old erasers or pencils that are dead but still have the erasers intact cut them down to size and with a little super glue or rubber cement put on the back corners so they don’t leave a mark on the wall should you decide to change placement. Nina, that is brilliant! I’ve been looking for that tacky stuff to put behind the frames on the wall so they stay in place and don’t scratch. This is a much better and easier option. Thanks for the tip! Linds you should get the email address of the antique store that we like so much, she would love to see this stuff! Looks great. I should, Mom. I use a lot of things from her store around the house. Next time we go I’ll let her know!